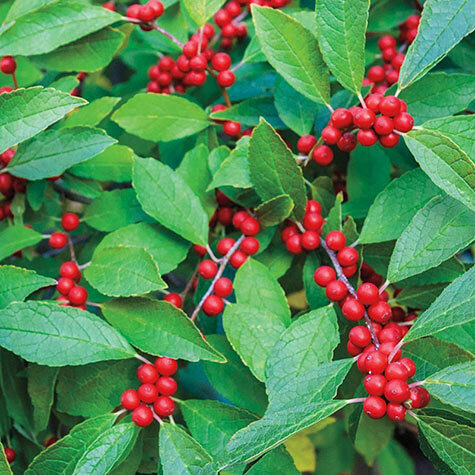 Low-maintenance shrub produces red berries in late summer that attract birds. 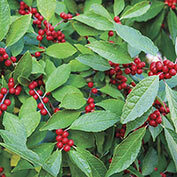 For berry production, a male pollinator (Southern Gentleman) must be planted near a female winterberry (Winter Red). Plant in full sun to partial shade. Grows 6-8 ft. tall. Potted. Zones 3-9. 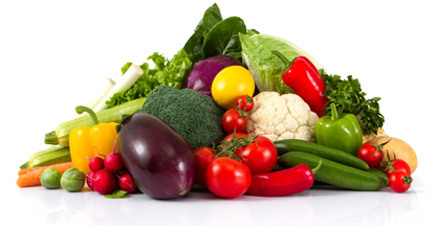 Comments: Known for its heavy fruiting and good retention of color throughout the winter. Native to North America.